iMessage, Apple’s free and reliable messaging service has been upgraded. Are not you excited? It is now using handwritten texts, fireworks and bubble effects etc. for satisfactory user experience. While we have other options to permit carrier numbers and Apple’s ID. Whereas it is the most updated and secure app to be used, but users are having issues while changing their phones or just converting their phones from Apple to Android. The issue is coming because the iMessage just sticks to the iPhone making it difficult to detach. This drawback in the update is making people suffer. But before going further you have to do the below steps before removing your sim card. If it is removed before signing out of iMessage it would be difficult for the steps to proceed. May these steps be beneficial to you. This will be shown to you without any limitations and verifications that can be done. The decision is easiest to make now after getting aware of these steps. First of all, you have to go to the settings on your phone. Then scroll the setting until you find the “messages”. 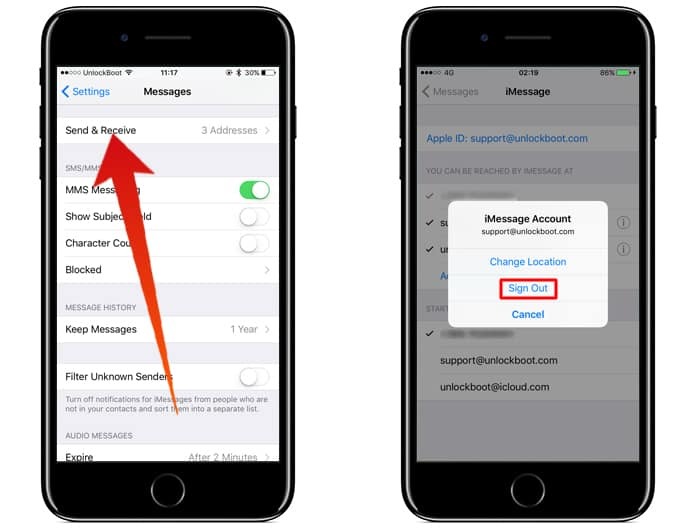 On selecting, you will see options for iMessage activation and iMessage Address. 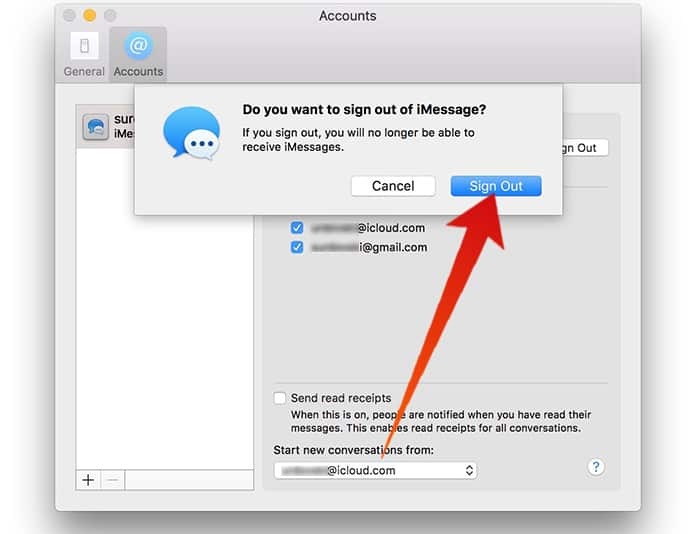 Here tap the “send and receive” option where you will find many alternatives like signing out of iMessage sessions. Clicking on it shows you to sign out, change or to cancel the procedure. Other than this, there is a second option as well. It can also be changed by the email address below the Apple’s ID. Here you can use another Apple’s ID for messages by tapping on “add an email”. Attach now email address and after confirmation click on (i) icon. Under Apple menu, search for system preferences first. Now select iCloud, and then “option” button and after iCloud drive. Terminate or deselect “messages” and click “done”. Open message from the apps. Select preferences from the top menu. Enter email and password on Click account. I hope that these steps will be helpful to you. 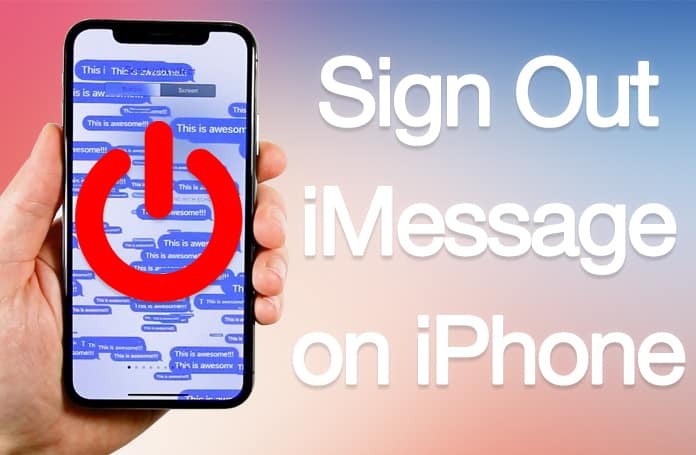 And you may make use of them before signing out of iMessage from iPhone, iPad or Mac.